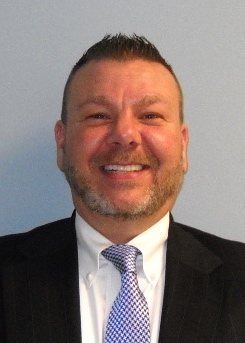 Azzaro joins FDR as program development manager. Growing up in Towson, Md., Rick Azzaro was a self-described "guitar-playing hippie rock star." Want proof of the hippie part? At age 16, he and a buddy spent a summer following the Grateful Dead, selling tie-dyed T-shirts for spending money. But it wasn't such a long, strange trip, after all, that has brought him to Family Design Resources in the newly created position of program development manager. His responsibilities include business development, contract procurement and strategic partnerships. Azzaro was in high school when a teacher handed him a book about Sigmund Freud. He soon realized that he enjoyed learning about psychology. "And really it was just serendipity," Azzaro said. "I don't have a history of abuse, I'm not a survivor of anything extraordinary. I've had a great family, but I just was intrigued by the human condition and how people are." He majored in psychology at Towson State University, which led to a direct-care position at a residential treatment center for emotionally disturbed youth. "And I will describe that as the hardest and most rewarding job I've ever had," he said. Azzaro, who has been a licensed clinical social worker for more than 20 years, has a master's degree in social work from the University of Maryland at Baltimore. He is pursuing a doctoral degree in social work at the University of Pennsylvania. His clinical expertise focused on child victims of sexual abuse. More than half of children in foster care, he said, have been sexually abused, as have 80 percent of men in prison. Most recently, Azzaro was chief services officer for the YWCA York's victim service programs, ACCESS-York and Victim Assistance Center. Azzaro and his wife, Lynn, reside in New Freedom, York County. Since 2001, he has been an adjunct professor in the behavioral sciences department at York College, where he developed a course on family violence. He has one son and two daughters. Once he got established in his doctoral program, Azzaro said, he began to look for his next career opportunity. Given his experience as a clinician and administrator for nonprofits, he felt he had something to offer Family Design Resources, citing program development and strategic planning as examples. "Plus my clinical work ... is really reflective of the kids that we're talking about here," he said "What FDR seeks to do is find permanency for this population of children, and I know these kids. I've worked with these kids forever." He has worked with neglected and abused children, including some in foster care. Adoption is one area in which he has less experience; he relishes the opportunity that FDR provides in that regard. "So for me, that was kind of exciting," he said. "And I like a challenge." In the near term, a bigger challenge is "getting a handle on who we are, who we want to be" at FDR. He noted its growth to more than 300 employees across the state since its inception in 1999. Besides reading every document about FDR he can get his hands on, getting to know the organization involves talking with and – more important – listening "to everybody, at all levels and all roles," Azzaro said. He has sat in on meetings, visited with paralegals, shared coffee with a board member. "I'm really just trying to have as many touchpoints as possible to gather information and kind of synthesize it," he said. "In that regard, I'm sort of a facilitator. Let me gather everything that you're telling me and try to make sense of it so as we craft a direction forward it has multiple fingerprints on it." He has been struck, he said, by "the passion and the competency of the staff here. It's remarkable. And the ingredients for the future of FDR are within our walls. And that's pretty exciting." As a leader, he said he subscribes to this philosophy: treat your staff like you want them to treat your clients. He must demonstrate that he cares about an employee's child "because I expect that staff member to care for somebody else's child." As for his own family, Azzaro said he just enjoys spending time with them. Music remains a big part of that relationship – during an interview, his older son texted him a Bob Dylan quote – and his life. That hippie rock star of yore has a home recording studio and has sold two songs (his focus is acoustic folk and blues) to production companies. His daughter Victoria is studying to become an art therapist and is following her father's lead in other ways. "She's a chip off the old block," he said. "I'm a guitar player and a singer-songwriter, and so is my 21-year-old. I play music with her, so it's pretty cool."